SS-AD acoustic drapery has been engineered to absorb reflected sound across a wide frequency range. The drapery is custom made to your exact specifications and are suitable for use in home and commercial spaces. The Sound Shape Acoustical Drapery (SS-AD) is a revolutionary, new product primarily designed to absorb more sound than standard decorative curtains. 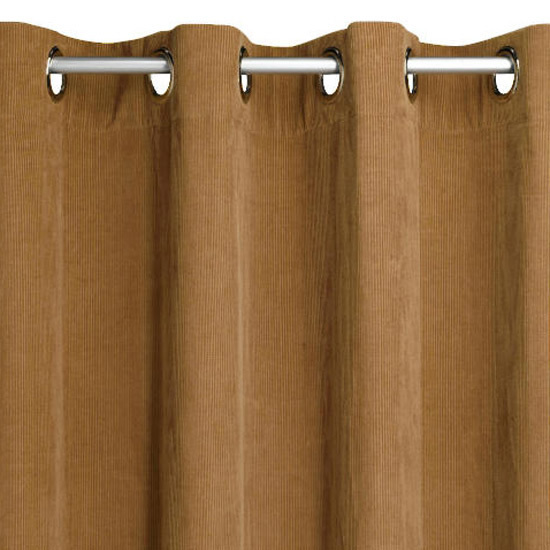 These curtains are ideally used where control of acoustic reflection off of glass or any other hard surface or ambient light control is required. The SS-AD product features a core material of naturally fire resistant wool fabric that is sandwiched between a decorative fabric face layer and liner. The wool core material has also been shown to continuously filter harmful VOC (Volatile Organic Compounds) from the air. The SS-AD product will also reflect thermal energy and block light when drawn across a window or doorway. The SS-AD products are designed and constructed using high quality, fire resistant fabrics which are available in a variety of textures and colors. The Sound Shape Acoustical Drapes are custom designed to fit and match your interior design specifications.